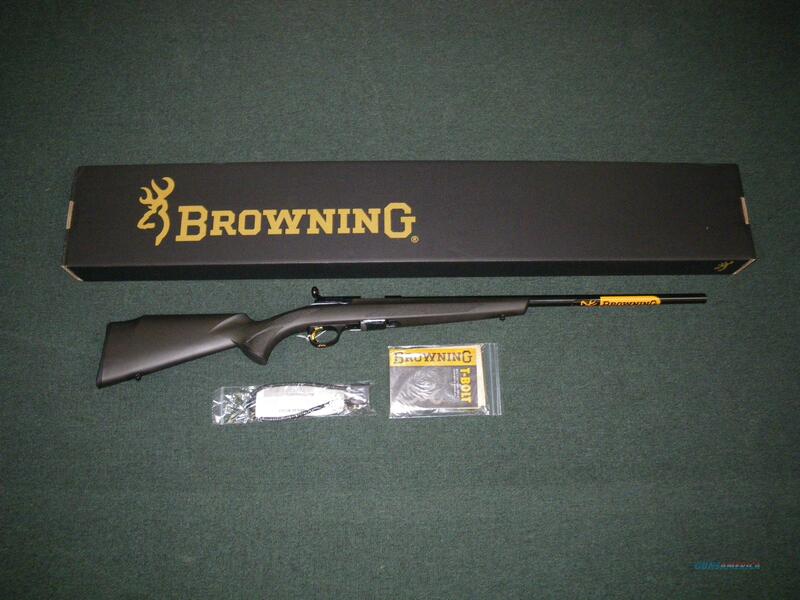 Description: You are bidding on a new Browning T-Bolt Target/Varmint Composite rifle in 17 HMR with a 22" barrel. This firearm is waiting to be your next shooter with innovative features including Browning's Double Helix rotary magazine. The stock of this firearm includes a spare magazine that securely locks into place. The unique straight-pull bolt makes for quick follow up shots. The heavy barrel of this target model provides superior accuracy. Displayed images are stock photos. Any questions please feel free to ask (our phone number is in the additional information tab above).